Maintaining your company’s and brand’s email reputation is important to spread your message. Marketers all over the world spend a significant amount of their time in designing and drafting email copies, crafting smart marketing strategies, developing handcrafted email templates and strategically clever subject lines. The aim of marketers is to get you open their emails and observe their marketing campaigns. But email marketing is not such a holy grail as thought because your emails are useless unless it reaches the recipient’s inbox. Everyone loves a detailed ‘good practice’ master guide. At times brands are so focused on creating a strong brand influence and connecting with their audience across multiple channels that they forget the basic technicatomatlities. We often talk about marketing automation features like landing pages, lead scoring, dynamic contact list segmentation, drip campaigns and autoresponders while discussing what contributes to a great email campaign. But without proper email reputation, all these automation functionalities will fall flat. Let’s start with the root causes that affect your email reputation. Below are the few problems and solutions to some common problems faced in email marketing, avoid sending spam email and improve email deliverability. Causes: The causes of a high number of complaints from customers may be due to weak permission rates, compromised email servers being used, a not updated weak list of acquisition source and change in frequencies of sending emails. Maybe too many emails are being sent within a short period. When someone unsubscribes, remove them from your email list. Check out the list of unsubscribes pages on a daily basis and do the recipients a service and do not send them further emails. Mailing sites like Gmail do not offer a feedback option for their users, but they will ask subscribers if they would like to unsubscribe if your emails are reported as spam by them. Try to sign up and verify for all ISP feedback loops (FBLs) like Microsoft/Outlook.com, UOL, Road Runner, Tucows, Yahoo!, etc. Higher rates of complaints may be associated with your mailing practices. You may be harassing your recipients with very frequent emails. Rapid changes in the number of allegations that do not match with your email sending rates or escalations of the number of complaints about time are both indicators of a complaint problem which may impact your deliverability rate and should be attended. Using a List-Unsubscribe header can assist in helping unsubscribe requests from mailbox providers. Another efficient way to further reduce complaints is to track all list acquisition sources that are generating the most number of complaints. Come up with ways to reduce complaints and implement new ways to reduce them. In some cases removes such sources altogether. Some very well-known list acquisition sources are affiliates, paid acquisition, and peer-initiated web forms. Auditing your SMTP servers for open relays, it will help you prevent other parties from exploiting them and sending emails through them which are not yours. Causes: High rates of spam traps on data might be a result of impractical and inactive email marketing strategy. Weak list acquisition practices, emailing your list very infrequently, and an increasing in actives on file affects email reputation. Verify the email addresses that are being submitted to avoid your emails going in spam traps. Request your subscribers or audience to input their email address twice to prevent this issue. Checking the domain of the email address in real-time using validation scripts and services is an effective way. Make sure to send welcome or confirmation email to your recipients and cancel any chances of email bounces. An effective welcome mail should offer to help recipients unsubscribe in case the email address entered is incorrect. Conduct regular updating of your list and remove inactive addresses to avoid bounces. Causes: Using an old and updated list to send emails can be the primary cause of hard bounces. Email addresses may be inactive and deactivated by their users, and you may be using the same opt-out email list. Hard bounce is known as a permanent delivery failure majorly affecting email reputation. It can also be described as emails which permanently bounces back to the sender undelivered. Unknown user error code is generated if a sender sends emails to an email address which is no longer in existence. There may be various reasons to this. The email address may have never existed; it is no longer active by choice, or the user abandoned the id. A high unknown user rate indicates the sender is probably lazy and never updates his email list. The sender may have the wrong spellings recorded of the email addresses. A dictionary attack is also highly likely. Dictionary attacks take place a spammer uses combinations of words in the dictionary to create random combinations of emails addresses and then use these to spam these addresses for finding a valid email address. The information is collected or sold. More spams are deployed at these addresses. To avoid this messy situation which would degrade your company’s email reputation actions should be taken. Making sure that unknown user bounce backs are removed immediately by your bounce processing system is a good way to ensure this problem is eliminated. Other solutions may be to email your recipients only once in a quarter and measuring the degree of risk by mailing opts out lists to analyze the situation. Causes: There may be various reasons for this problem. Network connection issues and DNS server may be down which could lead to reverse DNS failures. Incorrect changes to your DNS record may also be the cause. Contact your DNS network provider or engineer to make sure that no changes are made to your DNS; also confirm if your DNS is not experiencing any connection issues. Make sure that your DNS is reachable through MXToolbox or DNSStuff. Causes: It may be simply because we are sending email way faster than any ISPs can accept. The IP address may have no email sending history. Incorrect connection and ISP’s grayling techniques may be the cause. Higher acceptable unknown users and complaint rates can also cause higher email deferred rates. Referring to a specific code in your bounce logs would help you acquire information on anything specifically and find answers to them. If you are emailing from a new IP address, it is advisable to send small volumes of emails and keeping the number of unknown users and bounces low. Deferrals may also be because of complaints and unknown users. It is advisable to check the unknown user’s section and complaint section. To resolve this, you should follow warm-up process. Causes: This issue usually occurs when your emails are in spam traps or when you do not process bounces and complaints. Anti-spam organizations and spam filtering companies create blacklists which are IP addresses of email companies. The principal objective of such enterprises is to reduce the number of spams. They organize, maintain data and assist in efficiently filtering and blocking of spam emails. The organizations publish the blacklist, and this helps other organizations to block spammers. To deliver your message to your recipients, it is import to stay out of blacklists like, SpamCop, CBL, and Spamhaus. If the sender receives more and more complaints or gets put in the spam trap, it is highly possible that they may be blacklisted. Some blacklists add you due to infrastructure failure such as the open relay. Therefore, to stay out of blacklists, it is important to follow the best practices and maintain industry standards. You can check blacklisting of your domain from MXtoolbox, MultiRBL, UltraTool. Causes: You may be blacklisted, your IP address has appeared on a blacklist, or you may be facing issues related to your email reputation. 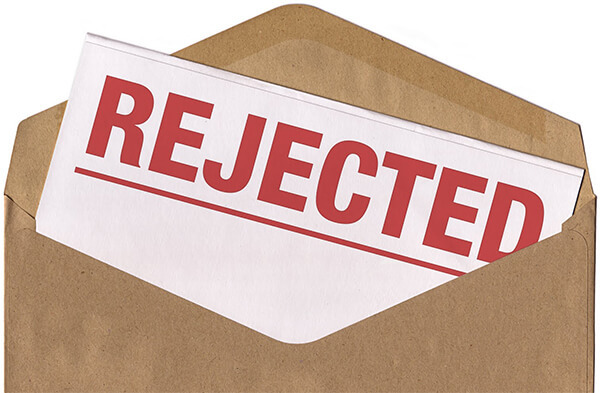 A sudden rise in rejected emails may be due to sending practices. Try to identify the changes and analyze the effects on email reputation. Changing hosting providers may be the likely cause for this. DNS entries for your email authentication may not be present and correct. Changing your template may cause confusion amongst your customer as they may not recognize your brand anymore and may report your emails as spam. It is advisable never drastically to change your brand identity. It may create an identity crisis. Data hygiene and the loss of subscriber’s interest may also be the likely causes. It is important to carry out in-depth analysis and update your email list daily to avoid such problems. Causes: It is highly likely that you are getting a lot of complaints due to your email delivery practices, you have a large number of unknown users on your list, or your emails are sending in spam traps. Maybe your emails contain spam keywords or email message structures that are failing in spam filter checks. Lack of missing feedback loop which is essential for every company and subscriber win back program may be the likely causes that most of your emails are being sent in the recipient’s spam box. Regenerate the interest of the subscribers. 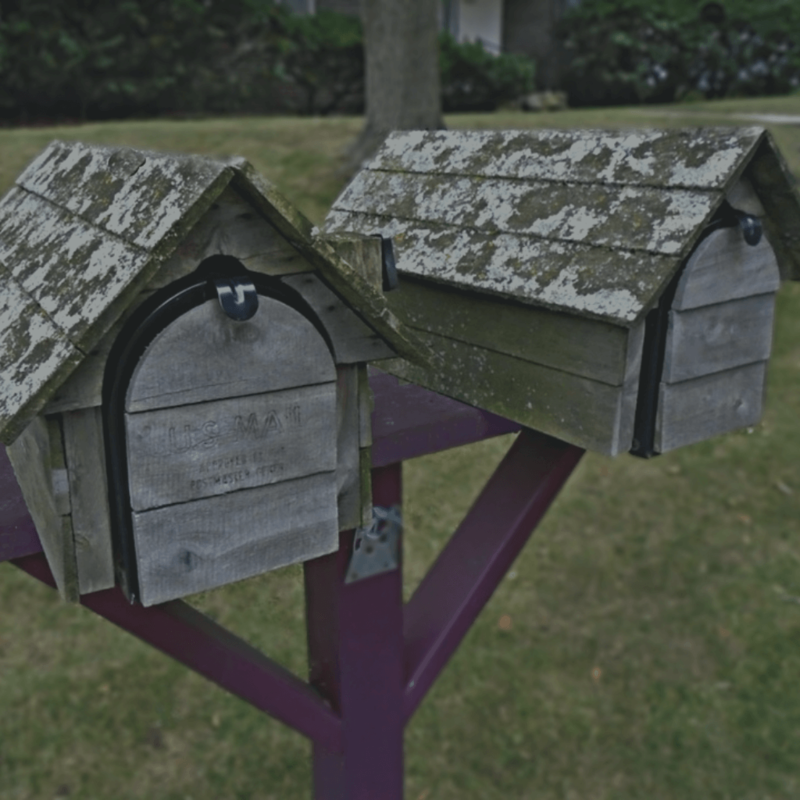 Customer engagement can help you get out of their spam boxes. Develop an efficient email marketing strategy to attract and engage your customers again. Add special offers, promotional events, and relevant creative content in your emails to generate interest. Regenerate the interest of your email subscribers. Customer engagement can help you get out of their spam boxes. If some of your emails are being labeled as spam and junk, discontinue sending to such emails. Also always update your subscriber’s list. Deleting unknown users and inactive ones is paramount. Enroll yourself on all kinds of feedback loops so that you can receive complaints and accurate reports. These complaints help you to distinguish between interested and uninterested subscribers and save your email reputation. Fulfill all the requirements of the Feedback Loops to be accepted. Causes: DKIM authentication failure may occur in the case of an invalid or absent Public key. The length of the key may also be responsible for this failure. Domain Keys Identified Mail (DKIM) helps senders to associate a domain name with an email message; this helps in vouching for its authenticity of the email source and provider. Domains that are successfully verified through DKIM have lower email spam score. 512-bit keys have been used previously, but because they are vulnerable to hacking in 2012, Gmail started failing emails as invalid that is signed with the use of fewer than 1024-bit keys. There can also be a problem related to the Public key. Public key is the DNS record which is “paired” with the hash included in the outbound email to validate your email streams. The Public key is the DNS record which is “paired” with the hash which is included in the outbound email that validates your email streams and improves email reputation. Sometimes it happens that even after proper planning also, email deliverability will be low. This information can be an important asset. You have put great efforts into writing this guide. Thanks a lot for updating this concise step-by-step guide. The regeneration of the interest of the customers by generating an effective marketing strategy is essential. Thanks a lot for updating this master guide. Maintaining the email reputation is hard. Thanks a lot for sharing the master’s guide. As a new marketer, I found it interesting to understand that the harmful effects of phishing attacks which can put an impact on email campaigns. If you want to launch successful email campaigns, then there are a handful number of factors which needs to be considered and maintained to get the best results. Good post. Hey, lately I have been facing some of these issues. Started applying the solutions provided here. I have to admit, the response has been better. Bad email communication practices can damage reputation. And a poor email reputation can impact deliverability, thus slowing down campaigns and also relegating them to spam folders. A good reputation helps us to get more emails delivered to recipients’ inboxes without much delay. 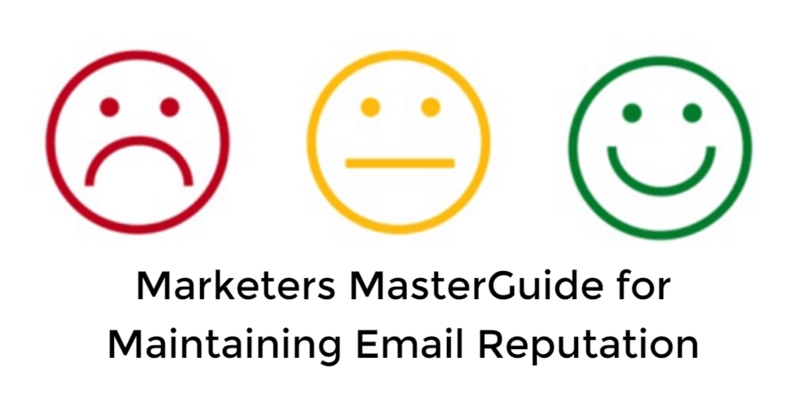 Maintaining and improving reputation will make emails more engaging, and there by it increases open rates and click-through rates. You have outdone yourself this time. Probably one of the best, most concise step-by-step guide I have seen! Great idea! Either frequent emails or unrelated emails both are very displeasing and hence it goes to the spam folder. Regenerating and preserving the interest of the customers by developing an effective marketing strategy is very much essential. Reputation is everything when it comes to the email marketing because only then deliverability of the emails will be insured & you won’t be tagged as a spam by the receiver. It is crucial to check the unsubscribe list every day to ensure that your subscribers don’t get annoyed. Any promotional activity holds the reputation of an organization. E-mail is one such element which needs to be done properly in order to maintain the reputation and image of the company in the market. This blog encounters certain e-mail issues which distort the image of an organization. Along with problems solutions are also highlighted. People may go through it for better understating. It is definitely a worth read. Hi, thanks for sharing the post. Yes, I totally agree with the fact that is critical to maintaining an email sending reputation if one is planning to build a successful brand name. They will stop the emails to land in the spam box, thereby allowing the marketers to earn a good reputation. Therefore, I totally agree with every point that is mentioned on the blog. This article is quite helpful. Maintaining Email reputation is something you can never stop doing. When it comes to the deliverability of your emails, your reputation as an email sender plays a significant role. The better your email reputation, the more emails make it to the inboxes of your recipients. Thanks for sharing.